Also by Appointment or Chance! 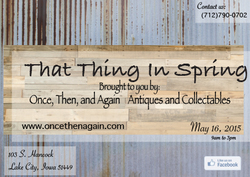 "That Thing In Spring Flea Market"
The 3rd Saturday in May all (9am-3pm)! 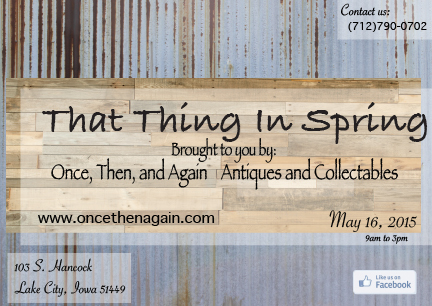 "Iowa Hwy 175 Garage Sales"
The 3rd Saturday in July all day! ​Check out our space in the Hardware store on Main Street across from the town square, too!! !